Papaya offers an easy way to acquire anchored KIN for use in the Stellar network, even if you do not have an activated Stellar account yet. Papaya will use a portion of the KIN you deposit to fund your new account with the minimum XLM required. Visit https://apay.io/ and select "KIN". Paste in your new, unfunded Stellar address on the Papaya website, click “Get ETH Address”, and then send KIN to the Ethereum address that appears (KIN originates on the Ethereum network). The minimum deposit is 1000 KIN. Once your Ethereum transaction is confirmed, Papaya will create your Stellar account by funding it. At this point, Papaya will try to send you your KIN, but it cannot because you have not yet set up a trustline. Sign into Stellarport (https://stellarport.io/) with your newly funded Stellar account. Click on the “Wallet” link in the header, then the “Balances” link in the sidebar. Click the blue “+ Trustline” button at the bottom of the page. 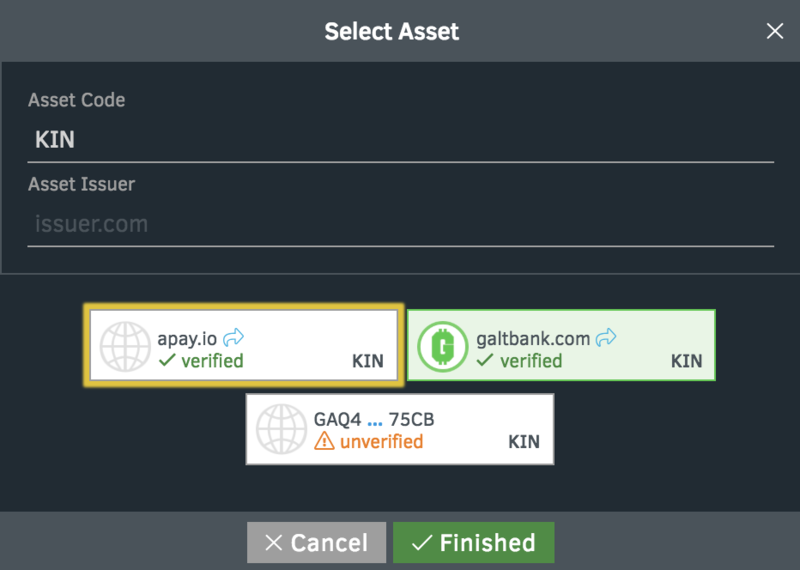 Select the “verified” KIN asset by apay.io, then click the green “Finished” button to create a trustline to Papaya’s anchored KIN asset. Papaya will now complete the process of sending your newly funded account KIN. 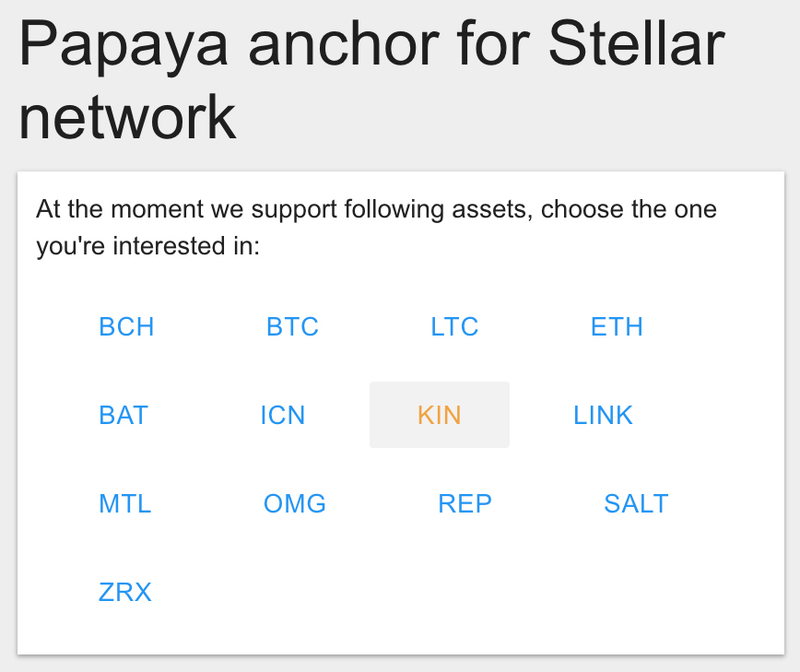 You now have anchored KIN that you can use for trading on the Stellar DEX or other purposes. Your KIN balance should be for the amount you transferred in, minus the amount converted to XLM to fund your account. You can also acquire other anchored assets that Papaya anchors like Bitcoin, Litecoin, and ZRX.